I've gotten to the point in my career that when I go to friends' houses for dinner, I'd almost rather people not know what I do. 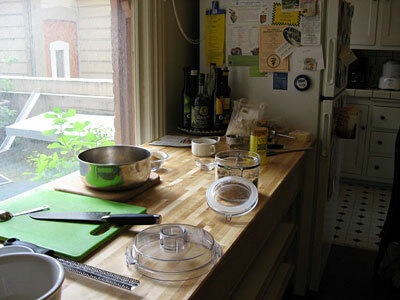 Sure, being a food writer is an interesting topic of general conversation and people like to talk about their favorite chefs, recipes, foods, cookbooks, and restaurants, and I like talking about that, too, but I also find myself weakly protesting my hosts' idea that I'm going to hate their food, bite untasted. It's food, my friends -- I love food! I feel like I should print out the below and hand it to my hosts with a bottle of wine as soon as I walk in the door. When you invite me into your home, I don't want you to be scared that you have a "food writer" at your table. When you invite me into your home, I am not working. I am not on the job. I am not thinking up devastating turns of phrase that will lay waste to all the effort you put into that beautiful, sumptuous roast. When you invite me into your home, I am not rolling my eyes at the consistency of your baked brie. I've love brie cold from the fridge. I love microwaved brie so hot and runny the fat has separated. I love brie because brie is cheese. Is the brie runny the way you like it? Then it will be runny the way I like it. When you invite me into your home, I am not there to look down my nose at your ingredients. Look in my kitchen and you'll find plenty of prepared sauces, boxed dry pasta, strained tomatoes, frozen foods, and a staggering supply of microwaveable Indian dinners from Trader Joe's. When you invite me into your home, I am not pawing my spoon through each dish to see whether you left out an ingredient. Did you leave something out? I truly wouldn't have known if you hadn't told me. I liked it before I knew that. I liked it after I knew that. When you invite me into your home, I am concentrating on you, your friends, your family. I'm here because of you. When you invite me into your home, I am not there to find fault with your food. When you invite me into your home, I am talking, laughing, eating, enjoying. When you invite me into your home, I am just grateful that someone else is cooking for me. When you invite me into your home, you don't have to apologize to me for anything. That's not the kind of person I am. I don't expect, need, or want apologies for anything. I like food, I like people, I like people who cook me food. When you invite me into your home, whatever you cook for me is the best thing ever.